Mayumi Oda is an artist who is known to many as the “Matisse of Japan” and has done extensive work with female goddess imagery. Born to a Buddhist family in Japan in 1941, Mayumi studied fine arts and traditional Japanese fabric dying and graduated from Tokyo University of Fine Arts in 1966. Mayumi’s unique apprenticeship, dying fabric for kimonos still influences the colors and composition of her work. 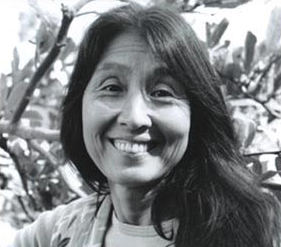 From 1969 to the present, Mayumi has exhibited over 40 one-woman shows throughout the world. Her artwork is also part of the permanent collections of the Museum of Modern Art in New York, the Museum of Fine Arts in Boston, Yale University Gallery, New Haven, and the Library of Congress, Washington, D.C. She has been a global activist in anti-nuclear campaigns worldwide, and is the founder of Plutonium Free Future. 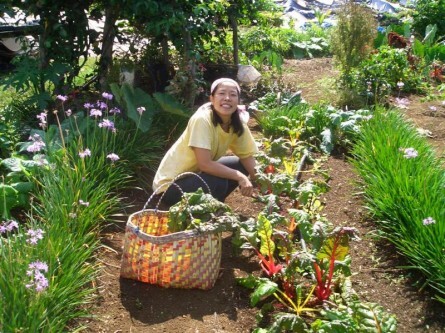 Mayumi lives on the Big Island of Hawaii at Ginger Hill Farm where she grows organic food and paints. 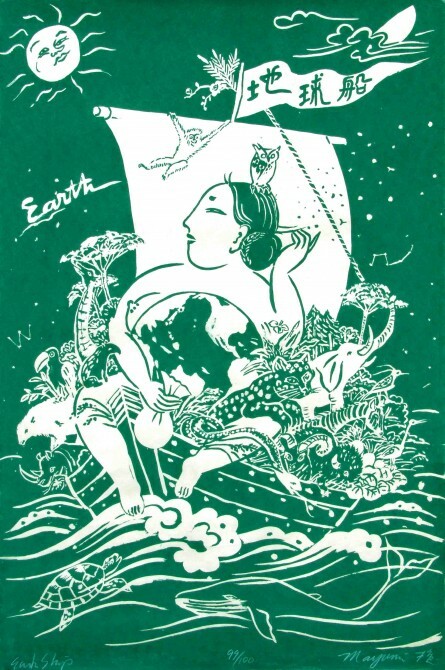 Mayumi was the steward of one of the Earth Treasure Vases, delivering it to Hiroshima, Japan in the mid 1990s. 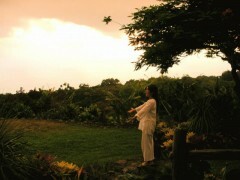 This interview was conducted by Joanna Harcourt Smith, a writer, poet and director of FuturePrimitive.org and Cynthia Jurs, a buddhist teacher and founder of the Earth Treasure Vase Global Healing Project. JURS: It’s an honor to be with you again, Mayumi, and to remember your involvement in burying one of the Earth Treasure Vases in Hiroshima. I know that you have a very strong connection to what happened in Hiroshima. Can you talk a little bit about what made you decide to take one of the Earth Treasure Vases to Hiroshima and what happened when you took it there? ODA: Yes, I was doing anti-nuclear work, and understood that the Japanese government was planning to utilize plutonium for electricity. I thought that the people who suffered from the bombing of Hiroshima should not be subject to such a thing, so I started this project, Plutonium Free Future, and really began to feel the complexity of nuclear issues. What happened during the bombing was that so many people just disappeared. They just…evaporated. I do not know exactly how many. And then, afterwards, it was the enormous suffering of the people. Not just the first generation, but the second generation too. Mothers and children and grandmothers who were present were all contaminated. Fathers were contaminated too and it was carried on to the second generation. And the legacy is continuing. Still all around Hiroshima, you feel it when you go there. You can almost hear the cries. Then the cry was, “Give me water.” “Give me food”. “Give me water.” And it’s an excruciating scream you can hear, especially around the river edges. To this day, people go and do ceremonies there because, you know, it continues. 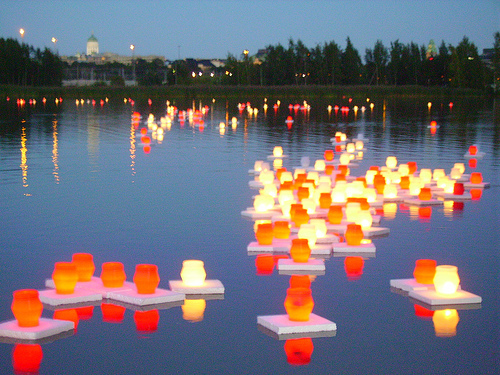 Floating candles in Töölönlahti Bay, on the anniversary of the Hiroshima bombing. I realized that because of the dropping of the nuclear bomb in Hiroshima and Nagasaki, it would be good to bring healing to those places that actually physically experienced that horror. In 1995, the fiftieth year of the anniversary of Hiroshima, we brought a fire which had been kept burning from the time of the dropping, in a container, to Los Alamos, the birthplace of the atomic bomb, to give it back. JOANNA: Mayumi, what was your feeling when you were in Los Alamos for the 50th Anniversary of the bombing? ODA: As part of the Atomic Mirror Pilgrimage that Pamela Meidell started, we met at Chimayo first, because it’s such a sacred place. Our intention was to walk through all the places with a nuclear legacy. (Note: Pamela Meidell was the steward of another ETV – the one dedicated to being buried Australia and to which she offered earth from all of these places). 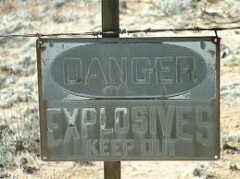 It was difficult to go to Los Alamos and return the fire. That fire had been burning for 50 years but the Director of Los Alamos received it… It was very powerful to revisit all those sites with the intention of healing. I had the feeling that the land in Los Alamos is so sacred. I imagine that even the people who built the lab probably thought this is very sacred work in a sacred place. They went over to the gods’ territory. But it was like they had a loss of hubris and did not respect the sacred. I felt a strange feeling there. I don’t know how to express it too well. It was like we should not touch the one that we touched. JURS: The first of the Earth Treasure Vases was buried in a cave above Los Alamos. ODA: Yes, I know and definitely, they need it. JURS: One of the central themes of the Earth Treasure Vase practice that we wanted to address in terms of the healing of the Earth was the poisoning of the planet due to radioactive waste and nuclear proliferation. ODA: I think it’s the nuclear issues that are the source of violence, especially the modern violence that has brought a tremendous fear to people’s mind and deprived us of our well-being, the well-being of the nation, the United States of America, in such a deep way. And the ongoing use of plutonium is like a thorn of violence in the face of the people. And until you take it out it’s being pressed. 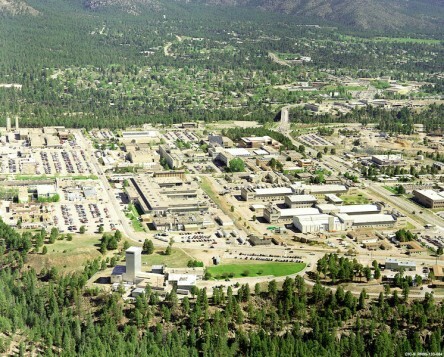 That is the reason that I was very passionate about working with issues of plutonium, and Los Alamos was where it all began. It’s very, very meaningful. What happened brought tremendous suffering and also tremendous fear between us. And then the Cold War began. 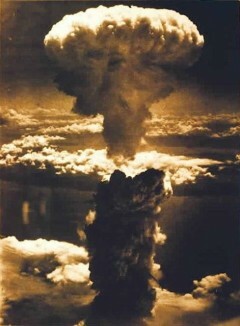 Some people say that Hiroshima was to show Russia that the United States had so much power. To give Russia fear. Not so much to kill Japanese people. You know, people say that is what’s true. And on the other hand, the Japanese were completely ready to surrender without the bombing. It was like we were used to show the power of the United States. When you think about it, it’s really quite serious. JOANNA: Mayumi, what is your feeling about the third generation in Japan since the bombs? How are your dear people in Japan coming along? ODA: A lot of people have now been born and raised without knowing the fear of war. And they’ve gone to tremendous effort not to teach them about the war, about the nuclear bombs that were dropped on Hiroshima and Nagasaki. Even about China and Korea, who we invaded. The reason is that our government was created by prisoners of war, by the people who were put into power by the American government when they left the occupation. And it’s very frightening to realize that our power came from the training of the militarists who invaded. There is something so fundamentally wrong about my country. And it’s very difficult for me to even say it loud, but I’m saying it, to you now. ODA: So, it’s very hard to have hope for Japan until they come out and say we have done this. We are sorry. That peace cannot be restored. JURS: Mayumi, what was the prayer you were carrying when you took the Earth Treasure Vase to Hiroshima? ODA: Many different people brought so many gifts as offerings to the original ceremony we did with the vase at Green Gulch Zen Center. Very, very dear and important things were offered into the vase, including relics from Hiroshima. An enormous amount of things went in. So, all this spiritual manna went into the vase with all of our prayers and I carried that vase to Hiroshima to meet a woman named Satomi Oba. Satomi was directing the Plutonium Action Network in Hiroshima. She worked internationally and was very close to a survivor named Suzuko Numata who was a young woman in Hiroshima when she was bombed. Suzuko was in the Post Office near her house when she was bombed and suffered burns on her face and other places. She was engaged to a man who was a soldier and was sent to China where he was killed so at the same time as the bombing she also lost her fiancée. She dedicated her life to telling the story of what happened and how she survived. She sat underneath a Polonia tree to tell the story of the bombing especially to schoolchildren who visit Hiroshima so that we don’t forget what happened. 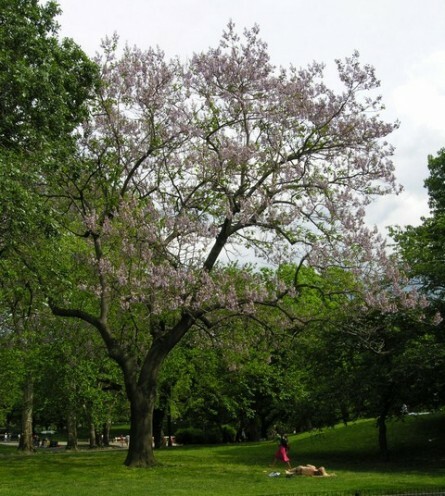 Traditionally, the Polonia tree, which has a very strong wood and is practically fireproof, is planted by the parents when a girl child is born so that by the time she’s married, they can use that lumber to make a chest. The reason Suzuko sat underneath the Polonia tree was that this particular tree was bombed in the war and was quite damaged. It had almost burned down but then it blossomed…beautiful purple flowers. When we brought the Earth Treasure Vase and gave it to her, she gave us the seeds of the Polonia tree that she stood underneath to tell the story. She was very moved to receive the Earth Treasure Vase and gave us the seeds. Wendy Johnson of Green Gulch Farms and I propagated the seeds and when they became small trees, she gave them to many peace organizations and spiritual communities (for more information about this see Wendy’s book, Gardening At The Dragon’s Gate). So the story continues that way, through the Earth Treasure Vase and the seeds of the Polonia tree. JURS: If it is possible to get some seed of the Polonia tree, I would like to initiate a prayer of my own that collectively, we cultivate a Polonia tree in honor of this work that we have been sharing today and bring a new tree to life on this Earth for the benefit of the beings of the future. Where exactly did the vase end up being buried? ODA: The vase was buried in the mountains across the river in a park overlooking Hiroshima, atop a small hill over the river. There is a Peace Park in the center of town. But the park where the vase was buried is across the river where a lot of people went looking for water after the bombing and died. It looks over everything that happened. That site really overlooks the whole thing. Unfortunately, Suzuko Numata and Satomi Oba have both passed away but we continue with our intentions there and I feel the vase is still working. JOANNA: I know you have a very deep connection with Mother Earth, a very deep connection with the Goddess and that you grow medicinal herbs and vegetables. Can you talk about the healing aspect of the Mother? ODA: Yes, after working with nuclear issues, I became exhausted especially after trying to stop the depleted uranium. I realized that the weapons industry is using depleted uranium, which the United States started to give away as a surplus. But the scope of this work was too big for me to do. I was exhausted and had depleted my resources. So I retired to Hawaii to heal. I realized that as an activist, I couldn’t do everything I wished to accomplish. But what I can do as an artist, is to visualize a life that should be normal; that is sensible to live. And it came down to growing good food and medicine to share with people. And that’s what I am doing at Ginger Hill Farm. Along the way, I learned that Hawaii is one of the big testing grounds for genetically modified foods, or GMOs. 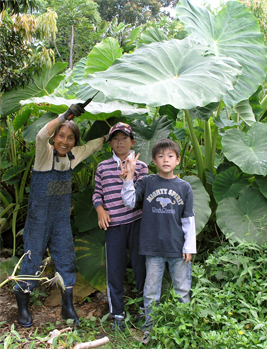 So, I got involved with a group called “Hawaii Seed” to stop the use of GMOs in Hawaii and work to promote organic gardening. We have been very successful in that work. Then I felt that spreading nuclear power and spreading GMOs is similar in that humans do not have hubris towards the sacred. They have entered a bit too far into the sacred space of the Creator. So now I am back in the studio painting goddesses in order to really bring out the feeling of love and oneness that the goddesses embody and to promote the feeling of oneness with all of birth, life and nature in my art. I mean, this is the reality! As a farmer, one feels that we are completely part of creation. That we are just a small wave in the huge cosmos of ocean. As an artist, I want to bring that feeling of being a part of creation to my art. It takes your breath away and is a beautiful, comforting release to not be caught in fear. So I really try in my painting to promote this sensible reality that God is within us and is a sacred, nurturing presence within ourselves. My art is about promoting the feminine, this feeling; the goddess. Even after 40 years, that work is continuing. I am also preparing a book about love, not fear, and the nurturing of the feminine that has to be restored within our culture. This is what I’ve been doing. I have come to see that fighting with militarism is a promotion of the fear that deprives us, our children and their offspring of our well-being. So, to build a nurturing feminine culture is something I can offer through my art. JOANNA: And it is your deep feeling (and you’ve been working at this for 40 years) that the feminine power and the image of the goddess, those beautiful images of the goddess that you give us, Mayumi, are images of peace. ODA: Yes, I think so. And that people can use these nurturing feminine images to restore hope. This is my belief. JOANNA: In closing, can you say a little bit more about the goddess? Just a little bit more because we just can’t get enough of it. ODA: Hawaii is the island of “aloha” and “aloha” is compassion for the “ohana,” the family. We are all family and we have to be happy altogether. We can’t be happy by ourselves. And that’s the message of the Goddess, the Mother, the Grandmothers, who love us all. JOANNA: Good. Thank you from the bottom of my heart. JURS: And thank you from me too, Mayumi. It’s been a deep joy and honor and pleasure to be able to share the path with you in these ways. Thank you so much for your involvement with the Earth Treasure Vase and many, many blessings to you with the work that you’re continuing to do. ODA: The same to you. You’re an inspiration. Aloha. This entry was posted on Thursday, June 6th, 2013 at 12:16 pm	and is filed under Burials. You can follow any responses to this entry through the RSS 2.0 feed. You can trackback from your own site.